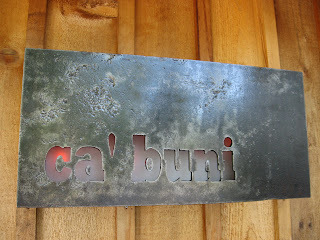 HEAVY METAL WORKS: Metal Sign Board - "ca' buni"
Some finishing touches for Mukilteo Coffee's new restaurant! 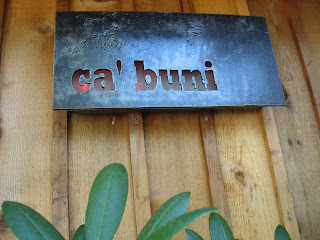 The new sign is made of 1/4", heavily weathered steel plate and is backlit with plexiglass and "Flicker" light bulbs. 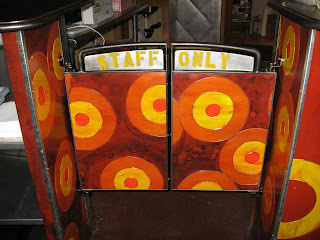 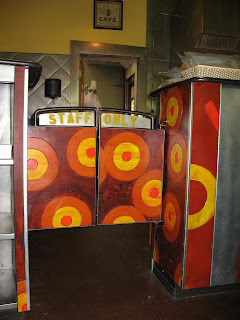 The "Swinging Doors" are made from a remnant of Buffy's awesome decorated wood panels left over from the counter project and some rod from Langley's old redwood water tank.